The crew of Georgia's Home Inspirations are setting off to do some vintage shopping! 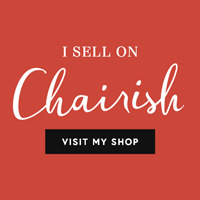 With the grand opening of our online store materializing in the not-too-distant future, Georgia's is beginning to stock up on unique, useful items from flea markets and antique shows. As is our nature, we're always looking for pieces that have time-worn beauty and create relaxed comfort and charm. With this in mind, we are heading first to the Kane County Flea Market in Kane County, IL, said to be "The Best in the Mid-West." This monthly flea market has been around for over 40 years, and we have high hopes of discovering vintage treasures to re-purpose or simply pass on to you in their natural state. Immediately following our warm up at Kane County, we are on our way to a huge event, the Brimfield Antique Show, in Brimfield, Massachusetts. This is a big one, friends, with 5000 plus dealers selling their goods over 6 days. The show, which began in the 1950's, has become the largest outdoor antique market in the country. Needless to say, Georgia's is busting with excitement over the opportunity to scour this gold mine. The show starts September 4 and runs through the 9th. Get an inside look at our buying experiences by following us on Twitter and Instagram; we'll be posting regularly. Georgia's crew would love to hear from you! Email us your favorite re-purposed item, decorating/gardening tip or most inspired recipe and if we love it, we'll feature it on our blog!